A Birthday Gift Turns A Moment In The Airport A Memorable One! Our flight to Delhi from Mumbai was at 6.30 PM but the heat outside was taking its toll on us. 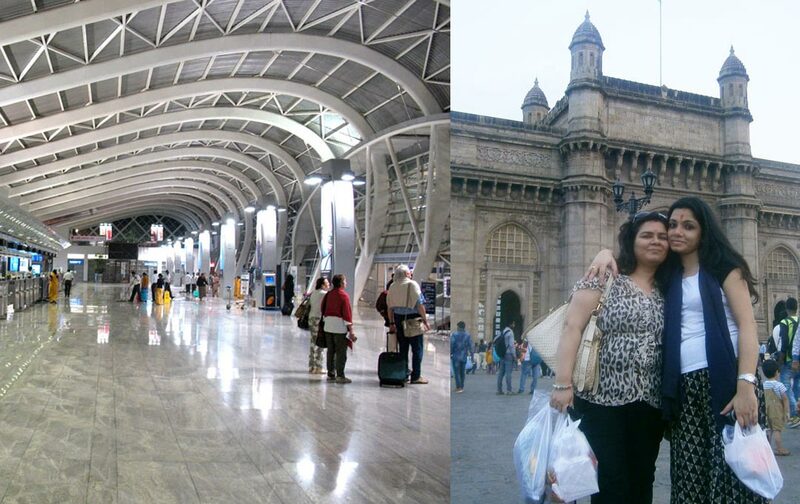 And so instead of exploring Linking Road in Bandra area (as was our plan), we decided to head to the airport. It did not even take us 20 minutes to reach the airport at Santa Cruz and in no time we were inside, checking in and collecting our Boarding Pass. We passed off a courtesy smile when the ground Attendant at the counter after looking at the time of our departure smirked that we were too early to board the flight. After Security Check was over and having realized that we had more than an hour in hand and had literally nothing much to do, we decided to explore the area and kill time. I could not even had sat down to work on my laptop as I was in mood to do that. Mumbai airport has changed a lot since the last time I visited. So it was indeed a good pass time for both of us, visiting the new brand shops that have come up at the waiting area of the airport. No shops perhaps have gone missed by us as we strolled around; trying to grab whatever caught our eye. But amidst this ‘new-found’ fun that we were having, we both somehow forgot to check what time it was. It being a silent airport, there were also no announcements made. When we started making our way back to the boarding gate, my colleague suddenly remembered that she had to pick up something from the nearby souvenir shop. I did not accompany her to the shop and asked her to come to the gate once she is over. Once at the boarding gate, I saw passengers standing in a queue, readying to board a flight. I checked the number on the board above and saw that it was our flight for which boarding has started. It was then that I checked my watch and realized that it was already time and to my horror the last boarding call had also been made. Without wasting any time I called up my colleague to hurry up. I was the last passenger left along with another foreign tourist, who was also waiting for her friends who did not arrive for the boarding. Not knowing what to do and with the ground staff at the gate gesturing me to get in, I made a last frantic call to my friend and asking her what is taking her so much time. She said that she is still stuck at the billing counter as her card is showing some problem. The security personnel at the gate however asked me to get in and that my friend shall be sent in once she arrives. I finally got in the plane through the jet bridge that they had connected. Even while walking through the bridge, I kept looking back. No sign of her yet! Once seated inside, I kept hoping and praying that she does not miss the flight. Even her phone was going unreachable then. Then I finally saw her coming in, waving at me and asking me to help lift her cabin baggage. Oh God! Now I had never imagined, not even in my wildest dreams that we would be landed in such a situation, when we would be on the verge of missing a flight in spite of being inside the airport and having reached well ahead of time. But then adventures are sure to take place whenever you are travelling and if you don’t have one, you feel something missing in the entire trip. But the sweetest memory that I will cherish from this Mumbai trip was when we both were seated and I inquired my friend if shopping from that Souvenir shop at that moment was really so important. She then took out a beautiful envelope and handing it to me said, “Happy Birthday dear!” I was overwhelmed and did not know what to say, even a Thank You seemed not sufficient. My birthday was on the next day and keeping this in mind my friend bought me this beautiful gift. But more beautiful was the fact that she has managed to do that at the cost of almost missing the flight. How could I ever forget such a beautiful moment! Share the post "A Birthday Gift Turns A Moment In The Airport A Memorable One!"